I believe you will love this video. I am watching the World Over and the guest is speaking about the National Moment of Remembrance as a way of observing Memorial Day. 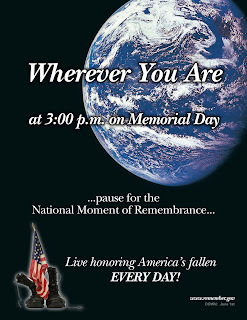 The National Moment of Remembrance, established by Congress, asks Americans wherever they are at 3 p.m., local time, on Memorial Day to pause in an act of national unity (duration: one minute).The time 3 p.m. was chosen because it is the time when most Americans are enjoying their freedoms on the national holiday. The Moment does not replace traditional Memorial Day events; rather it is an act of national unity in which all Americans, alone or with family and friends, honor those who died for our freedom. It will help to reclaim Memorial Day as the sacred and noble holiday it was meant to be. In this shared remembrance, we connect as Americans. 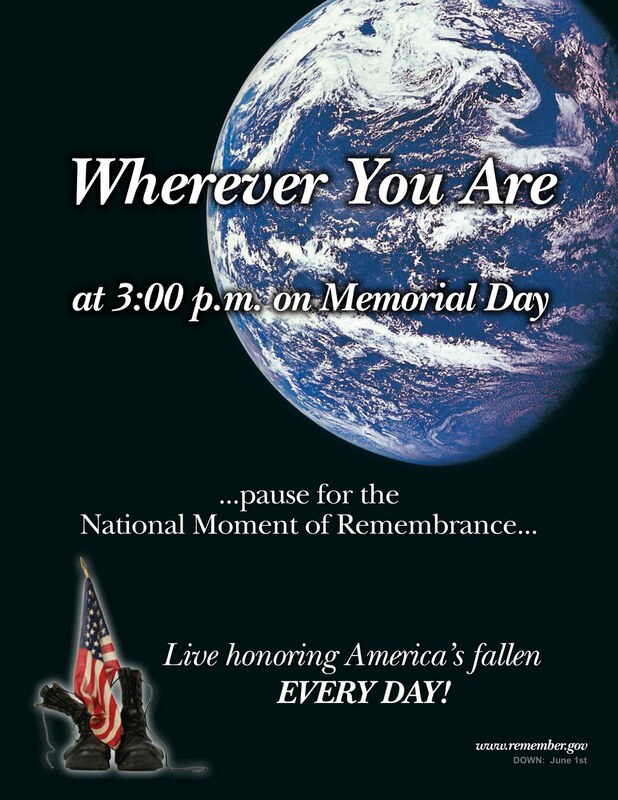 Wherever you are, observe the Moment at 3 p.m., local time, on Memorial Day. Ask others to remember—relatives, friends, church, neighborhood, or co-workers to observe the Moment at places such as your neighborhood, local pool, picnic grounds, etc., for one minute of Remembrance. Participation can be informal as ringing a bell three times to signify the Moment. Summer Programs for The Thomas More College of Liberal Arts. Thomas More College is one of the few Catholic colleges that remain faithful to the Magisterium of the Church and the directives of Ex Corde Ecclesia. We have a great line up for programs this summer and I'd like to get the word out as far as possible about them. Any help is most appreciated and rest assured that you are furthering the work of the Church by supporting authentically Catholic education. The Thomas More College of Liberal Arts, located one hour north of Boston, has an array of summer programs for students and adults alike. The Collegiate Program for High School Students offers a challenging introduction to the liberal arts and the Catholic tradition. Offering three college credits, The Catholic Leadership Institute examines the social teachings of the Church and inspirational leaders while also providing a means to develop leadership skills in the outdoors and through a service project. Open to those of any age, The Way of Beauty Atelier offers art programs on iconography, naturalistic drawing and on finding inspiration. For more information, please visit: www.thomasmorecollege.edu/summer or contact Mark Schwerdt in the Admissions office at (800) 880-8308. Caution: Graphic scenes, especially of death (e.g. abortion). Thank you Father Vince for a powerful reminder that we have to make reparation for the sins we commit. God is already so much offended. Please do yourselves a favor and watch this video on the what the Mass is all about. If you missed them on Life on the Rock, don't worry. You are lucky because now EWTN posts their shows' videos on the Youtube Channel. Check out last week's episode of Life on the Rock featuring the Men of St. Joseph. 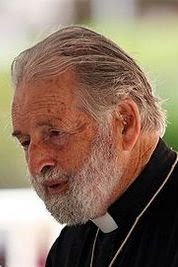 On May 17th, Father Peter Rookey, the beloved healing priest, celebrated his 70th year of ordination to the priesthood. Thanks to a couple of friends, one being Ed, for providing me with Father's contact information. I was able to call Father and speak to him. He gave me a lovely blessing over the phone! If you would like to contact Father to wish him a happy anniversary, please call him at 708-748-6279 or write him at: International Compassion Ministry Servite FR. Peter M. Rookey Our Lady of Sorrows 3121 W. Jackson Blvd.Chicago, IL 60612. More importantly, please offer Father a spiritual bouquet. The following story about a soul in purgatory appearing to his daughter should move us all to pray for our loved ones who have died. Every time I think or dream of a friend or family member who has passed away, I think of it as they are in need of a Mass being offered for their repose. It is also good to have Mass offered for our deceased priests and religious. You can read the entire article on purgatory based in part on the writings of certain saints here. In 1870, Belgium fought as an ally with France against Germany. In September of that year, Sister Maria Serafina, a Redemptorist nun in Malines, Belgium, was suddenly seized with inexplicable sadness. Soon after, she received the news that her father had died in that war. From that day on, Sister Maria repeatedly heard distressing groans and a voice saying, "My dear daughter, have mercy on me!" Subsequently, she was besieged with torments, which included unbearable headaches. While laying down one day, she saw her father surrounded with flames and immersed in profound sadness. I want you to have Masses, prayers and indulgences said on my behalf. Look how I am immersed in this fire-filled hole! Oh! If people knew what Purgatory is, they would suffer anything to avoid it and alleviate the suffering of souls here. Be very holy, my daughter, and observe the Holy Rule, even in its most insignificant points. Purgatory for religious is a terrible thing! Sister Maria saw a pit full of flames, spewing black clouds of smoke. Her father was immersed in the pit where he was burning, horribly suffocated and thirsty. Opening his mouth she saw that his tongue was entirely shriveled. "I am thirsty, my daughter, I am thirsty." The next day, her father visited her again saying, "My daughter, it has been a long time since I saw you last." "My father, it was just yesterday . . ."
"Oh! It seems like an eternity to me. If I stay in Purgatory three months, it will be an eternity. I was condemned for many years, but, due to Our Lady's intercession, my sentence was reduced to only a few months." The grace of coming to earth was granted to him through his good works during his life and because he had been devoted to Our Lady receiving communion on all her feast days. "Do souls in Purgatory know who is praying for them, and can they pray for us?" "Do these souls suffer, knowing that God is offended in their families and in the world?" "Is it true that the sufferings of Purgatory are much greater than all the torments of earth and even of the martyrs?" "Yes, my daughter, all this is very true." "Yes," he answered, "but only if they are faithful to the Confraternity's obligations." "Is it true that some souls must stay in Purgatory for as long as five hundred years?" "Yes. Some are condemned until the end of the world. These souls are very guilty and entirely abandoned." "Three main things draw God's malediction over men: failure to observe the Lord's Day through work, the very widespread vice of impurity, and blasphemy. Oh my daughter, how these blasphemies provoke the wrath of God!" For over three months, Sister Serafina and her community prayed and offered penance for the soul of her tormented father who often appeared to her. During the elevation of the Host at Christmas Mass, Sister Maria saw her father shining like a sun with matchless beauty. "I finished my sentence, and have come to thank you and your sisters for your prayers and pious exercises. I will pray for you in Heaven." Many of you are familiar with the prophesied 3 days of darkness. I believe one such writing is inaccurately attributed to Saint Padre Pio. * "God will send two punishments: one will be in the form of wars, revolutions and other evils; it shall originate on earth. The other will be sent from Heaven. There shall come over the whole earth an intense darkness lasting three days and three nights. Nothing can be seen, and the air will be laden with pestilence which will claim mainly, but not only, the enemies of religion. It will be impossible to use any man-made lighting during this darkness, except blessed candles. He, who out of curiosity, opens his window to look out, or leaves his home, will fall dead on the spot. During these three days, people should remain in their homes, pray the Rosary and beg God for mercy." * "All the enemies of the Church, whether known or unknown, will perish over the whole earth during that universal darkness, with the exception of a few whom God will soon convert. The air shall be infected by demons who will appear under all sorts of hideous forms." * "Religion shall be persecuted, and priests massacred Churches shall be closed, but only for a short time. The Holy Father shall be obliged to leave Rome." 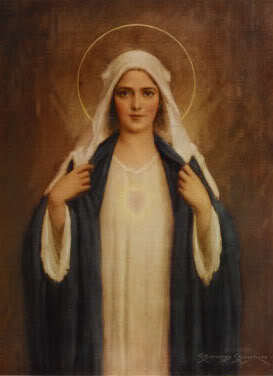 * On Christmas, 1816 Blessed Elizabeth saw Our Lady, who appeared extremely sad. Upon inquiring why, Our Lady answered, “Behold, my daughter, such great ungodliness.” Blessed Elizabeth then saw “apostates brazenly trying to rip her most holy Son from her arms. Confronted with such an outrage, the Mother of God ceased to ask mercy for the world, and instead requested justice from the Eternal Father. Clothed in His inexorable Justice and full of indignation, he turned to the world. * On the feast of Saints Peter and Paul, June 29, 1820, she saw Saint Peter descending from heaven, robed in papal vestments and surrounded by a legion of angels. With his crosier he drew great cross over the face of the earth, separating it into four quadrants. In each of these quadrants, he then brought forth a tree, sprouting with new life. Each tree was in the shape of a cross and enveloped in magnificent light. All the good laity and religious fled for protection underneath these trees and were spared from the tremendous chastisement. “Woe! Woe to those unobservant religious who despise their Holy Rules. They will all perish in the terrible chastisement together with all who give themselves to debauchery and follow the false maxims of their deplorable contemporary philosophy! * “The sky took on a morbid blue color which terrified everyone who looked at it. A dark wind blew everywhere. An impassioned and mournful shrieking filled the air, like the terrible roar of a fierce lion, and resounded all over the earth in blood curdling echoes. * “When this bloody fight will arrive, the vengeful hand of God will weigh upon these fated ones and with His omnipotence He will chastise the proud for their rashness and shameless insolence. God will use the powers of darkness to exterminate these sectarian, iniquitous and criminal men, who plot to eradicate the Catholic Church, our Holy Mother, by tearing Her up by Her deepest roots, and casting Her on the ground. Before my dear readers get worried about these prophesies, please go here to read this article in its entirety. It will give you history, scriptural references and most of all hope, regarding the three days of darkness. You will also find out the whom the above prophesies are attributed to. Please join the Holy Father in praying for the Church in China. BOSTON- On June 4th, Bishop Thomas Tobin will appear in an interview on the live CatholicTV talk show "This is the Day". Bishop Tobin will discuss his new book "Effective Faith" and the ideas and spirituality within the book. Katherine Haas of Catholic News Agency said of Tobin's book, "Effective Faith isn't a bombshell to the faithful, or even to the once-faithful or the not-so-faithful. Instead, it's a nuts and bolts approach to being a Catholic. Bishop Tobin isn't trying to scare his readers into going back to church. He's not leaving a trail of cake crumbs leading towards heaven either. What each of his columns does is give a basic explanation of the Church's teaching on a particular issue or a personal insight into daily life from the eyes of a real, live Catholic bishop." In an excerpt from the book, Tobin suggests that if you are faced with a dilemma where faith and work collide, "Quit your job and save your soul," he advises. The book is broken into four sections — "Everyday Faith," "Faith and My Life," "Faith Through the Seasons" and "Faith Through the Life of the Church." John Franko, a writer with the Pittsburgh Catholic, wrote "One of his trademarks is that he does not shy away from tackling controversial subjects. The book offers reflections on "Abortion," "Civil Rights and Human Life," "Why ‘Gay Marriage' Is Wrong," "Racism: It's Bigger Than Imus," "Catholic Preaching: Powerful or Pitiful?" and "When Preachers Fall from Grace." In the book's foreword, Cardinal Seán O'Malley of Boston praised Bishop Tobin for his skill in providing an accessible and effective means of sharing the faith through his columns." More information on "Effective Faith" and Bishop Thomas Tobin can be found at http://bishoptobin.com/. Proceeds from the sale of Effective Faith: Faith that Makes a Difference will benefit a number of charitable organizations throughout the Diocese of Providence. Bishop Tobin receives no royalties or profits from the sale of this book. Happy Birthday to the Church. 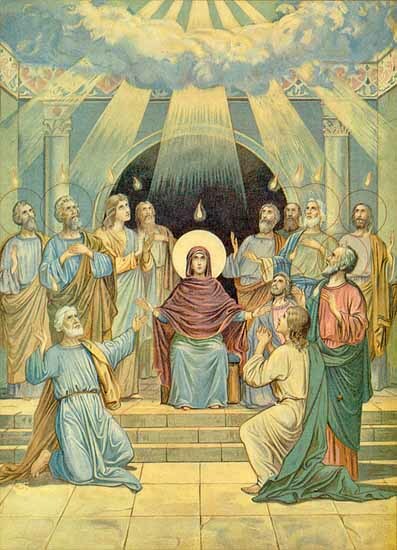 Be sure to visit Ed's Blog to read The Gifts and Charism of the Holy Spirit.